1. What are the steps involved while signing up? 2. Can I upgrade my account anytime? 3. Do you have a trial offer? 4. Whats the minimum term I signup for? 1. What is the minimum number of mailboxes I need to signup for? 2. I don’t have a domain name. How do I signup? 3. Do we need to provide our own licenses? 4. Do I need a VPN to connect to your Hosted Exchange? 5. To use your services; do I need to transfer my domain to you? 1. What happens to my current POP3/Exchange/Outlook e-mails that I already have with me? 2. What are the benefits of Apps4Rent’s hosted Mail? 3. Are there per-mailbox storage limits? If so, what happens when they are exceeded? 4. Do you offer Exchange for mobile devices? If so, which devices can be used? 5. What are the options for accessing mails? Do you provide a web-based interface? 6. Why is Hosted Exchange a more cost-effective solution than having an in-house Exchange installation? 7. How is the service priced, and how much does it cost? 8. We’d like to start using Apps4Rent’s Hosted Exchange. How can we get it activated? 9. Which version of Hosted Exchange do you offer? 10. Where is the email stored? 11. Do I get Virus Checking and Spam Filtering (AV / AS)? 1. How do I access Outlook Web Access? 2. I just signed up-How do I get started? 3. How many devices can I sync with one mail box? 4. Are there any charges for using mobile devices? 5. Can I store files also in the Hosted Exchange Account? 6. How can I add/delete users? 7. Can different users have different diskspace or different plans? 9. Is there a firewall in place on your Hosted Exchange Platform? 10. Is there a message size limit? 11. Is there a limit on the number of recipients? 12. Can I work on my emails off-line? 1. Is there any setup fee for SharePoint? 2. Is domain name included with SharePoint? 3. Do you offer anonymous login? 5. I have just signed up. What’s the next step? 6. How long will it take to activate my account? 7. Can I use SharePoint for storing my documents? 8. Do you have a Demo account for SharePoint? 9. I don’t want a Hosted Exchange account. Can I still use SharePoint services and set alerts and send documents to groups? 10. What Workflows are Available in WSS 3.0? 1. Do you provide control panel? 2. Can I use my own SSL certificate to secure a hosted site on Hyper–V? 3. Is there any Reseller Plan for Hyper–V? 4. Does Apps4Rent help us set up SharePoint services or other applications on our Hyper–V account? 5. What are the differences between the Managed Dedicated SharePoint hosting plan and SharePoint enabled on Hyper–V dedicated server? 6. Does the “Apps4Rent” server name show up on user names when we use our Hyper–V account? 7. Can we offer various customized SharePoint sites to different users using one Hyper–V account? 8. Do you help us set up IIS to point to existing domain name using our Hyper–V account? 9. How many users can have full server admin rights on our Virtual Dedicated Server? 10. How many concurrent remote desktop sessions can we have? 11. Will Apps4Rent have admin rights on Our Hyper–V Server? 12. Do we call your Tech Support to help us set up SharePoint on Hyper–V? 13. 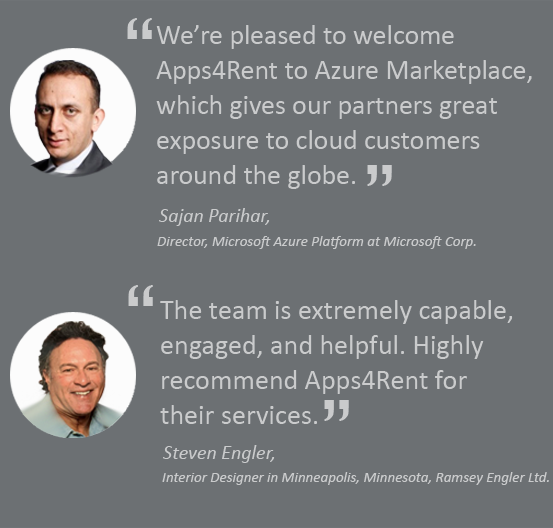 Can Apps4Rent help us to migrate our existing SharePoint sites to Hyper–V? 14. I have a virtual pc 2007 image, how do I get that image converted and into a Hyper–V environment? 15. How long does it typically take to set up an account? 16. Do you have any Trial Period for Hyper–V dedicated servers? 17. How do I get additional Terminal Server CALS? 18. I want a server that can support my application, it may have Silverlight. Can we install Silverlight web parts? 19. Can I get a Virtual 64 bit machine or a 32 bit virtual machine? 20. I want a 64 bit 2003 server, do you build that out for me, or will I have to build it out myself? 21. Do you have any SQL Server hosting? 22. Can I set up the Access DB, SQL, etc. with that Hyper–V plan? 23. Will Apps4Rent install SharePoint server on Hyper–V? 24. Can I Host multiple domains on Hyper–V Bronze plan? 25. What version of smarter Mail is it? Enterprise or professional? 26. Do you have a CRM solution that you host? 27. I am interested in your Hyper–V hosting but I am wondering if you offer software license leasing? For example‚ I need Windows Terminal Services 2008 and SQL Server 2008 Std. Can you provide those to me or do I need to buy them separately? 28. Hyper–V hosting servers include Microsoft Office SharePoint Server‚ or just the SharePoint services? 29. Is Hyper–V Hardware on rent? 30. Will Hyper–V have only application level access to your product, and not physical level? 31. How is the performance of the Hyper–V server guaranteed? 32. What is the difference between Hyper–V and Virtuozzo VPS? 33. Can you host MS Access? 34. Looking for a SharePoint hosting server. I don’t see anything about database MS SQL in your hosting plan? 35. Are the virtual images in the Hyper–V packages served from a single leased box‚ or from a “cloud” of hardware? 36. What is your Hyper–V backup solution method? 37. If I sign up Bronze Hyper–V hosting plan, how many CPUs will be allocated? 38. Can I take snapshot my OS? 39. How do we manage backup in a Hyper–V plan?